Available in 0.3 ohm (+/- .2) resistance. These replacement coils are designed for the VECO Top-filling atomizer included in the Vaporesso Tarot Mini kit. These coils will fit the Vaporesso Veco, Veco One, Veco Plus and Estoc atomizers. EUC stands for "Eco Universal Coils". Instead of replacing the entire coil head, with Vaporesso's revolutionary EUC coils you only need to replace the core or "heart of the atomizer". These coils cut down on waste, making them an eco-friendly choice. These coils create big clouds of vapor while retaining pure flavor from your e-liquids. It is s very easy to change the coil on your Veco tank. Turn the Veco upside down, grip and twist the bottom/base in order to remove it. Simply grab onto the old/used EUC coil and pull it out to remove. There is no need to screw in/unscrew the coil unit as it is threadless. Insert a new/fresh EUC coil, then screw the bottom/base back on. To fill the Veco, simply grip and twist the top cap to remove it. Then, fill the tank with your favorite e-liquid (be careful not to drip any inside the center tube - that is for airflow. Please do not over-fill the Veco). Screw the top cap back on. Please note: When using a fresh/new coil, please set the tank aside for a few minutes to allow the wicking material to absorb some of the e-liquid - this will help prevent it from burning when you fire the Tarot Mini mod. 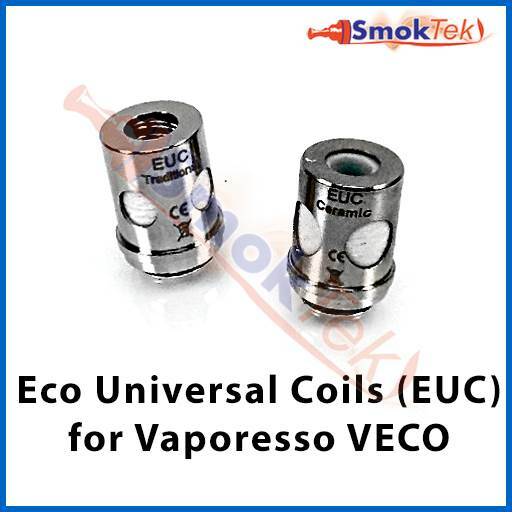 To speed up this process, you may drip a few drops of e-liquid onto the exposed sides of the EUC coil before inserting into the Veco. PLEASE NOTE: Please only use these sub ohm coils with devices capable of handling sub ohm vaping! If using a mechanical mod, please only use High Drain batteries with a high amp limit; if using a variable power mod, please use High Drain batteries in a device capable of putting out 50W and higher. NEVER use sub ohm coils on an eGo battery or a device unequipped to support sub ohm coils - it is for your safety! 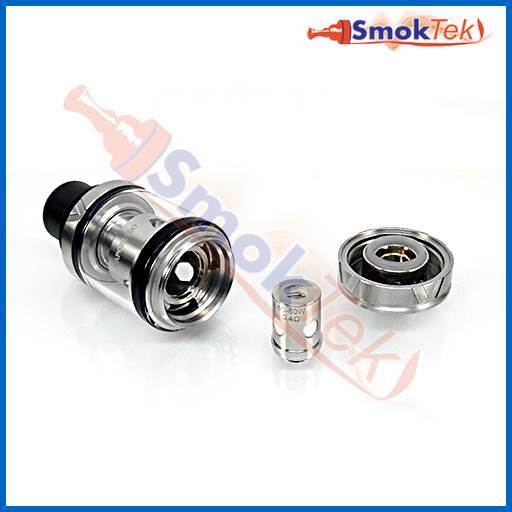 When unfastening the base (atomizer head) to refill the Clearomizer, the seals are temporarily broken and liquid may leak from the mouthpiece or escape into the center tube. Wrap a cloth or piece of tissue around the mouthpiece when unfastening the base of the Clearomizer. I have been vaping for almost six years now. I know how to prime my coils, close the airflow and take pulls on a new coil without pressing power to draw vapor, before I start drawing cloud hits. The first coil burnt up in the first day. The second one is two days old so far and is starting to taste burnt already. I think I will just continue ordering my EUCs directly from Vaporesso, more expensive, but every time I do so, they last six weeks on average, but at least a month at a time. Owners note: To be fair, these are certainly NOT knock-offs.